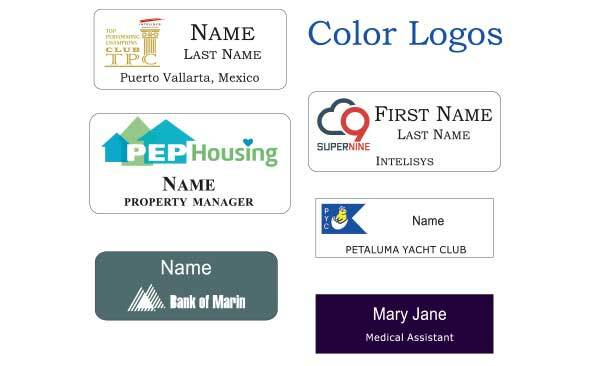 There are so many possible variations available in color, size, shape, font selection and custom logo application for name badges and door plates that we highly recommend you contact us to discuss all of the options and details. You may download this printer-friendly form to fill out and return to us via snail mail, fax, email attachment or bring into the store. Prices include safety pin or bulldog clip back. For magnet back, add $1.20 per badge. We will ship your order within 48 hours!